If you are in the local area and you don't have time to bring your car in, call Pete and he can make arrangements to have your car picked up or he can arrange to take back to home or work after you drop it off. 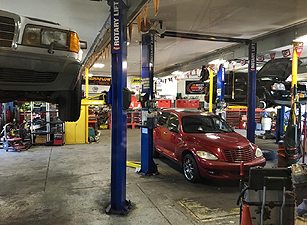 We provide expert Computer Diagnostics and State Testing for Cars, Trucks and Fleet Vehicles. Our ASE certified technicians provide the most accurate and honest state emissions testing and inspections.